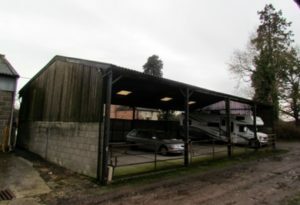 Joint venture initiative to convert an open portal frame storage barn into a light industrial butchery workspace. This process involved applying for some European Funding assistance as well as negotiating the best terms for the remaining funding between the Landlord and the End User. A fully functioning butchery handling clean carcasses in temperature controlled conditions (fridge and freezer) for the wholesale and retail markets established from open storage shed. 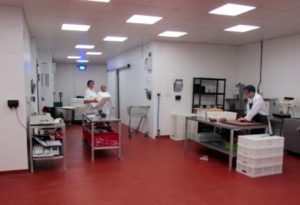 Space for up to 5 butchers created and with adjoining office space for the admin support and marketing sides of the business. After agreeing the conversion costs, the building’s conversion took place to meet the move-in date of the existing business, which was relocating from smaller premises elsewhere. ASKARI handled the grant application process, the JV negotiations and also delivered the light industrial space in good time for a seamless move to the new premises.